Optimist Clubs are made up of diverse people with different personalities, backgrounds and dreams. However they all share one trait. Can you guess what it is? Optimist Club members have hope for the future, for ourselves, and for others. All Optimist Club members want to make our world a better place. With tens of thousands of people working toward the mission,"Optimist Club members bring out the best in youth, community and ourselves," how could it be any other way? By adding hope into our daily lives just as if it were a spiritual practice, Optimist Club members share a positive vision of where they are and where they want to be. 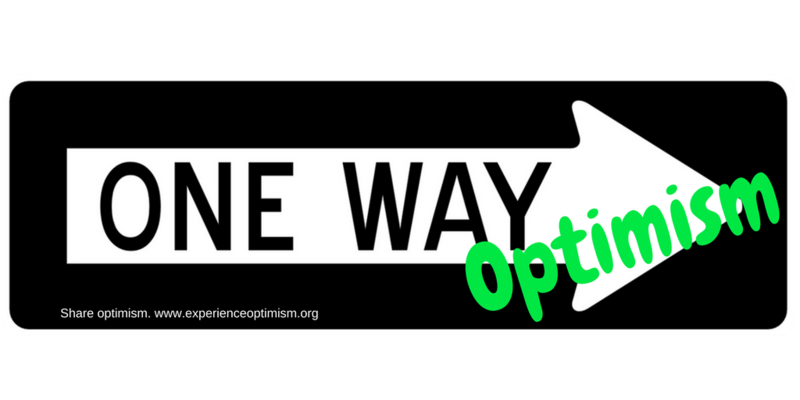 That shared vision of a positive world makes being an Optimist volunteer special. The good we do in our communities is balanced by the good we feel in ourselves when we accomplish a big or small task in service to others. 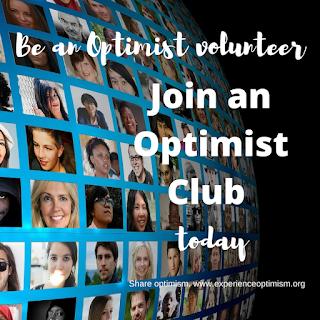 You can add hope to your life: join an Optimist Club today. 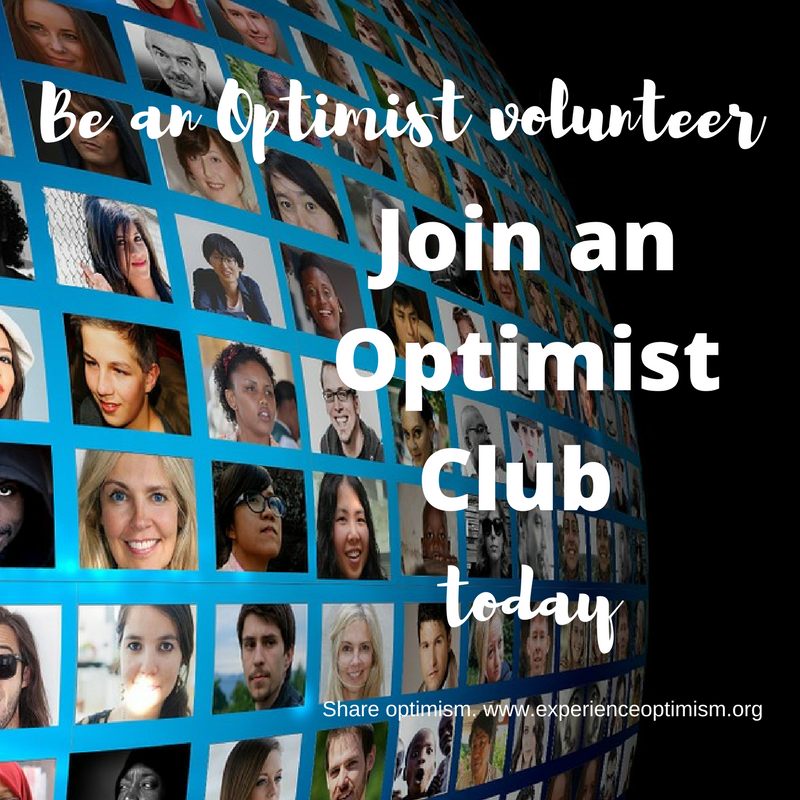 Find one near you at this list or send me a message and I'll help you start a new Optimist Club in your community. Sometimes I wonder why I care so much about Optimism. 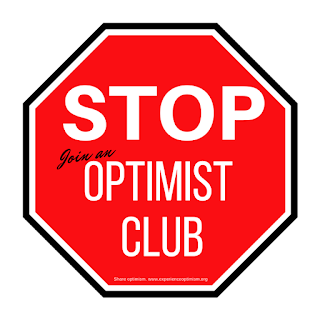 That's Optimism with a big O - Optimist Clubs - as opposed to the little o - the emotion. You see, today I saw in my Facebook feed that people were headed to St. Louis for a 2017-2018 international committee meeting. Hooray for them and hooray for holding the meeting in a more timely manner than has been done in the past. It usually takes place in September or October which doesn't necessarily allow for the smoothest handoff between administrations. However, on the downside, this also means rejection for me as I am not on my way to participate. Until seeing this gathering take place, I could still hold out hope that I might be asked to join the team; but now, that hope is waning. So that brings me to a big soul-searching question. If I can't share my experiences, knowledge and drive with the organization, why do I continue to try? I guess the answer comes down to one reason, and one reason only. I continue to share optimism because it is the right thing to do. 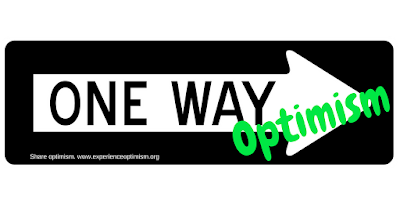 On the journey we call life, optimism is the one way to happiness. Positive thoughts and actions lead us to a better place. If that place is an Optimist Club, then so be it. If it is somewhere else, the importance is to enjoy the journey and to follow the signs to your true place of belonging, satisfaction and service. Early in my membership, I learned that people are too busy to join an Optimist Club. At least that is what they say. Often they promise that when their schedule lightens up, they'll think about it, only to find that their schedule never lightens up at all. So to overcome that excuse, a real optimist will typically say, "Busy members make the best members because they know how to prioritize their time." But let's face it, busy people are not always the most productive because they often glorify their busy-ness. What do I mean? In between work, chauffering children, eating dinner with the family, taking time for elderly parents, going to church, completing housework and yardwork, and a million and one other tasks that consume our days, we often find that we are focused on the action and not on the results. We have to go here, go there, do this, do that, and then start it all over again, day after day. Caught up in all that busy-ness, multitasking becomes the norm and causes busy people to lose their focus. This message is meant to sound an alarm. Focus is good; it brings clarity before action and allows one to choose their next steps with a desired result in mind. There is a saying that the proof is in the pudding. That means, results will do the talking; i.e., don't tell me what you are going to do. Show me. My message today: STOP the busy-ness in your life. Take time to make a difference in your life, your community and with youth by joining an Optimist Club. Devoting one hour per week, or less, as an Optimist Volunteer will lead to positive thoughts and actions. And with clarity of focus, it will lead to a positive life.